The Berkeley B78635 is a centrifugal pump, SSCX series, engineered with a stainless steel housing and shaft for maximum corrosion resistance in chemical and water applications. This model features a noryl impeller molded with precision for perfect balance and lasting quality. The SSCX series centrifugal pumps feature high-head performance and quiet operation. These pumps are remarkably versatile and have corrosion-resistant dependability. 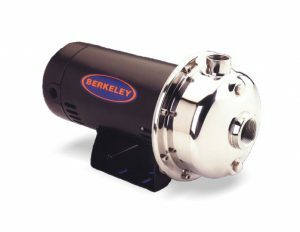 For more details, please view Berkeley SSCX Series Pumps Technical Data.